Red Dog is one of the newest casino brands to arrive this year, and at first look, it appears to be set for stardom! The bold and fun design is packed with quirky graphics and fabulous illustrations that really set them apart from the competition. Plus the ease of use and mobile responsiveness ensure it can be played anywhere, anytime. 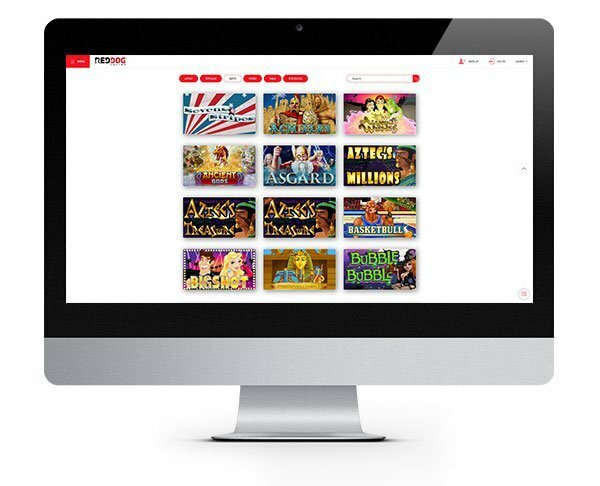 The casino is powered by Real Time Gaming and is available to play instantly on desktop or mobile or if you want to get the full, rich experience and even more games you can opt to download the casino software. There are a few little issues we have with them such as their massive minimum withdrawal amount which is set at a hefty $150! Let’s hope they review this as many casual gamers will undoubtedly be put off by this. Their deposit methods currently include Bitcoin, Neosurf as well as a couple of major credit and debit cards. Using Neosurf or Bitcoin will actually get you access to some enhanced promotions so are well worth looking at. Although the design and usability ensure a smooth ride for most players, the occasional issue can crop up while playing. 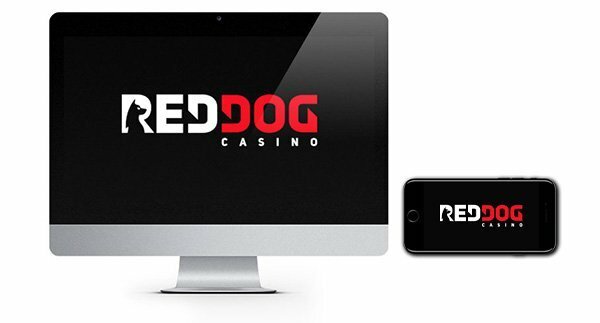 If you run into any queries during your gambling session at Red Dog, they have customer support available daily via live chat, email and telephone. Real Time Gaming is growing at a fast rate with new games being launched regularly. Their already impressive roster of games features a mix of slots with classic style and video slots as well as big progressive jackpots. They also feature scratch cards, keno and many table games so you can get a mix of styles to suit the needs of any gambling fan. The collection of games also features a selection of live games supplied by Visionary iGaming. 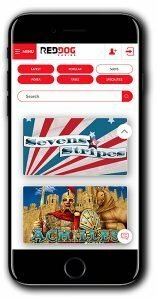 If you are not yet familiar with Real Time Gaming, some of their most popular slots include Asgard, Bubble Bubble, Coyote Cash, I, Zombie and of course Cash Bandits! Why not give them a spin for free first in practice mode? That way you can get to grips with the game’s features before you play for real. New Player Bonus – 25 No Deposit Free Spins + 225% Bonus! 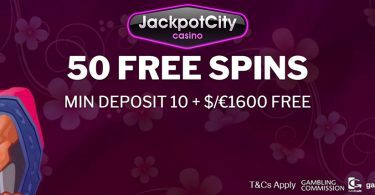 This no deposit spins offer is a great way to check out brand new casino Red Dog without the need to deposit any of your cash! 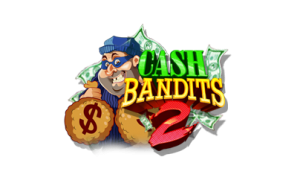 Play with 25 FREE SPINS on Cash Bandits 2 by following our link below and registering your new account making sure to use the bonus code ’25BANDITS2′. The folks down at Red Dog clearly want to get you to stick around as if you go on to make a deposit, there is a massive 225% cash match bonus with your first deposit. You can claim this by using the bonus code ‘WAGGINGTAILS’. It is also worth noting that there is an enhanced bonus for players depositing via Neosurf or Bitcoin! IMPORTANT NOTICE – Make sure you are aware of gambling regulations in your country of residence before you register at Red Dog Casino. 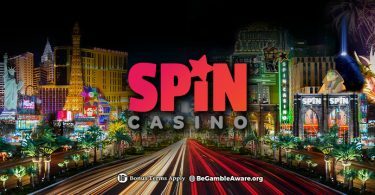 Check out new Red Dog Casino for FREE with this no deposit spins bonus!